Explorer Felicity Aston from UK has reached Antarctica’s Hercules Inlet, becoming the first woman to cross the continent alone. AP news agency reported Felicity Aston was also the first person to make the crossing using only her own strength to ski the 1,084 miles (1,744km). An expedition spokeswoman confirmed Felicity Aston had crossed Antarctica. The expedition took Felicity Aston 59 days, beginning at Leverett Glacier. Tweeting from her @felicity_aston account, Felicity Aston, from Kent, said she was sitting in her tent waiting for a plane to pick her up. “I’ve been promised red wine and a hot shower,” Felicity Aston wrote. 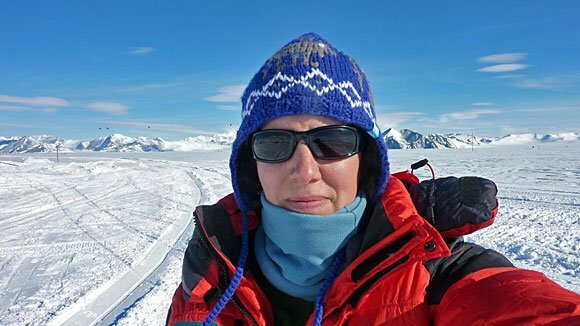 In a podcast, Felicity Aston said her last day had been “amazing”, with an icy eight miles to cross. “It’s all a little bit overwhelming after days and days of counting the time and the distance to get here. I seem to have got here all of a rush all of a sudden and I don’t really feel prepared for it. I mean it feels amazing to be finished and yet overwhelmingly sad that it’s over at the same time,” Felicity Aston said. Felicity Aston said her journey had been “an amazing privilege”.